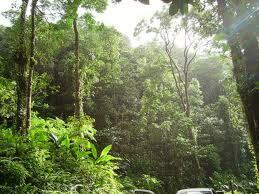 Home Earth, Energy & Environment Are tropical forests resilient to global warming? Are tropical forests resilient to global warming? Tropical forests are less likely to lose biomass – plants and plant material – in response to greenhouse gas emissions over the twenty-first century than may previously have been thought, suggests a study published online this week in Nature Geoscience. In the most comprehensive assessment yet of the risk of tropical forest dieback due to climate change, the results have important implications for the future evolution of tropical rainforests including the role they play in the global climate system and carbon cycle. To remain effective, programmes such as the United Nation’s Reducing Emissions from Deforestation and Degradation+ scheme require rainforest stability, in effect locking carbon within the trees. The research team comprised climate scientists and tropical ecologists from the UK, USA, Australia and Brazil and was led by Dr Chris Huntingford from the Centre for Ecology & Hydrology in the UK. Dr Huntingford and colleagues used computer simulations with 22 climate models to explore the response of tropical forests in the Americas, Africa and Asia to greenhouse-gas-induced climate change. They found loss of forest cover in only one model, and only in the Americas. The researchers found that the largest source of uncertainty in the projections to be differences in how plant physiological processes are represented, ahead of the choice of emission scenario and differences between various climate projections. Although this work suggests that the risk of climate-induced damage to tropical forests will be relatively small, the paper does list where the considerable uncertainties remain in defining how ecosystems respond to global warming.